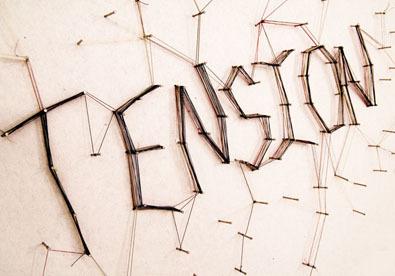 Leadership is about living in the middle of a number of tensions that won’t ever be resolved … in fact if you resolve the tension you end up creating a whole bunch of other problems for your church. I’ve had the privilege of spending the majority of my leadership career within growing churches and I’ve seen so many of these tensions up close. Rather than seeing these as problems to be solved … they are simply tensions that we must navigate. Leading in these tensions demands our constant focus as leaders … like surfing on a wave we always need to be reading the conditions of these tensions and adjusting our leadership to achieve the perfect balance. Community vs. Cause // As church leaders we need to concern ourselves with how the community amongst the people who are already connected to our church is developing while at the same time be outwardly focused on who we haven’t reached yet. If we spend too much energy on those people we’ve already reached we risk becoming insular and can spend a lot of time naval-gazing. On the end of the spectrum if we it’s all about just reaching people who aren’t here we risk alienating people who have been impacted by our ministry. Temporal Goals vs. Eternal Value // By definition we work in an “eternal business” in the church … we deal with people’s ultimate destiny. The stakes are super high … we’ve been enlisted into building the kingdom! At the same time … somebody has to make sure the signs are set up, the snow is shoveled and bulletin is ready to hand out because if we don’t do those things well it communicates to our guests that we weren’t expecting them. In fact … we need to set goals that make incremental improvements to the “way” we do ministry to help us get to place where we can make the ultimate difference in people’s lives. Systems vs. Relationships // At the core … church is family. It’s a network of brothers and sisters that have been impacted by Jesus. However, we’re also called to be making a difference in the world around us. Even in Acts 6 we see the ancient church dealing with the reality is that someone had to develop a system for serving people. We need to develop repeatable and trainable processes that move the church forward … common approaches that help us make impact on the world around us. All living things are made up of systems … the human body is nothing more than a bunch of systems that work together. But if they are cold and lifeless systems that don’t reinforce relationship the church is in danger of just becoming like any other business or organization in your community and not the Family of God! Being vs. Doing // Who you are is more important than what you do. We’re called human beings … not human doings. Those sound great … right? They are true statements … as church leaders we are called to be impacted by the ministry we’re leading. We can’t take people to where we haven’t been before. The life giving message of Jesus needs to penetrate every part of who we are. At the same time … as a leader we are called to “do” even when we don’t feel like it. We need to move ourselves and our people to a place where we can be impacted by the message of Jesus. Sometime this means stepping out of the boat before we’re feeling it … sometimes it means doing things that will lead to internal transformation in us that will allow us to lead others there. Some times we have to act before we become. Staff vs. Volunteers // The modern church is made up of a core of paid & volunteer leadership. If we become too driven by the “professionals” amongst us the church loses it’s touch world around us because the dialogue can become too insular and disconnected from the “real world.” At the same time … paid staff help the ministry move forward in a way that totally volunteer driven organizations just can’t do. It’s not lost on my that a core part of the role of church leaders is encouraging people to “make a difference in the world” … when so much about leading in a church can force you into a cocoon where we don’t have any idea what life in that world really looks like. Discipleship Process vs. Spiritual Formation // We need “three easily understood steps” for spiritual development … at the same the formation of our souls into the likeness of Jesus is a mystery that takes a lifetime to unravel. When we’re communicating “next steps” for people it needs to simple and straight forward to communicate so people take action towards their spiritual development. At the same time … if we “dumb it down” too much we risk our churches making the message of Jesus nothing more that a quick checklist to follow. On the opposite end of the spectrum … if our spiritual formation process seems more like “jedi training” only for the elites among us we’ll loose the opportunity to impact this generation. Contentment vs. Vision // What is happening in our church is pretty amazing … people are being impacted by the message of Jesus, relationships are getting restored, leaders are being released … the list goes on and on. At the same time the vast majority of the surrounding community voted with their feet last weekend that what our church has to offer doesn’t matter to them. The life change that is happening in our church is a beautiful thing … but we need to worry about how we’re reaching the people who aren’t here yet. We need to be content on the inside with what we’ve done while at the same time feel the pull to look beyond where we are today. Really great thoughts, Rich! I particularly resonated with the section dealing with discipleship and spiritual formation. It can so easily become confused with “information download” or “behavior modification/sin management.” It is a tension to be managed and should always be centered around the goal of transformation. As you said, the goal of discipleship is simply to see people’s hearts/lives be transformed into the image of Christ. Rich, great stuff! My only thought would be introduction of the word “polarity.” Tensions sometimes negative, whereas polarities are simply realities of life (inhalation and exhalation)and simply need to be managed. Your list and observations are right on! I think that’s helpful language for sure! Thanks for dropping by and commenting. Great article Rich – going to be sharing it with our leadership. We’re right now in the middle of navigating these tensions – the addition of new paid staff is helping in all areas – we really added staff 1 year too late and so we’re having to restructure/rebuild some things. Our greatest tension is keeping everyone on the journey and communicating well while some very necessary changes happen quickly and in a “spirit-led” community helping everyone understand why there is a need for staff and more structure. James … Thanks for checking in! Sounds like 2014 is going to be a year of change and growth for you guys … Exciting times. Of course … It always comes with a cost. Let me know if I can help in any way. Wise words. Living these right now! Dave … I’d love to hear more what you are learning these days. Maybe you could come on the podcast? Good stuff, Rich. We read through this out loud with our staff and a lot of it resonated. (Also, reading it out loud revealed a number of misspellings and typos, FYI). Thanks for these helpful ideas. Thanks. A really well constructed post. The notion that they we should not see them as problems to be solved rather tensions which we must navigate. Is liberating. In my view the things you have presented will be ongoing issues which will present themselves in different ways at different times. Thanks for dropping by! Are there any other tensions you see that could be included on this list? Kevin Bordeaux on turning a church around from 20 people to 300 in 16 months!